One of the central precepts of the American legal system is that the justice is “blind” to the accused’s power, wealth and influence. If a person breaks the law, it shouldn’t matter whether they are homeless or a billionaire, they should face the same justice system. Unfortunately, the American legal system has often failed to live up to this ideal and has shown preferential treatment for some groups over others. Historically, we have seen this inequality along the demographic fault lines of race, gender, and socioeconomic status. Recently, a massive divide in justice has opened between those with economic power and those without it. Wealthy bankers and financiers have escaped punishment for their crimes at a time of record imprisonment for the rest of society. This divide, while not new, has expanded to the point where wealthy individuals have egregiously and obviously broken the law, only to avoid being charged, or even arrested. At the same time that these wealthy individuals have escaped justice, innumerable Americans have been imprisoned for crimes—particularly non-violent crimes—at previously unprecedented levels. In the past, large-scale financial fraud has led to massive investigations and arrests by the relevant law-enforcers; despite the power of those involved, they were investigated, arrested, charged and convicted for their crimes. During the Savings and Loan crisis of the 1980s, the Reagan administration arrested over 1000 bankers for their part in the widespread fraud that had damaged our economy (though Reagan deregulated the banking industry as well). Unfortunately, a combination of money in politics and partisan politics has led to a near-complete cessation of high-level fraud prosecutions of those with money. The fraud and money laundering of certain banking interests is massively damaging to our country and extremely illegal. The mortgage fraud and securities fraud of the banks brought about the 2008 financial crash/mortgage crisis and was one of the most damaging events in recent economic history—millions lost their homes and entire families were rendered destitute. The damage caused by these individuals’ greed is incomparable in scale and scope to that of any other non-violent criminal enterprise. The inability of the justice system to prosecute bankers is illustrated most clearly in their unwillingness to prosecute bankers at HSBC for their crimes. For years, starting in the early 2000s, bankers at HSBC laundered billions of dollars for drug cartels and terrorist groups. These crimes are proven to be real by massive quantities of evidence and even admissions of guilt by HSBC executives themselves—in any other circumstance, this would be a very simple case and would likely be pled out (the accused pleading guilty in exchange for a lighter sentence once they know that they are almost certainly going to lose the trial) before trial. Despite the evidence and confessions, no bankers have been arrested in regard to this money laundering and no charges will be filed. The only consequence that has been, or will be, levied against the banks in question is a fine that only accounts for a few months’ profit. While our justice system is ignoring the crimes of the rich and powerful, it is seeking draconian and brutal sentences against those who have no power. Currently, our country imprisons approximately 2.3 million Americans in our jails and has a higher percentage of our population in prison than any other country on earth (with the possible exception of North Korea, but their imprisonment statistics are unreliable). Of those imprisoned in the USA, nearly 60% are either Hispanic or black (a stark number considering the fact that these demographics only represent 25% of the American population). Not only are more Americans in jail than in other countries, but they are in jail for longer—enhanced sentences, mandatory sentencing laws, and “three strikes” statutes have drastically increased the average incarceration time for crimes. 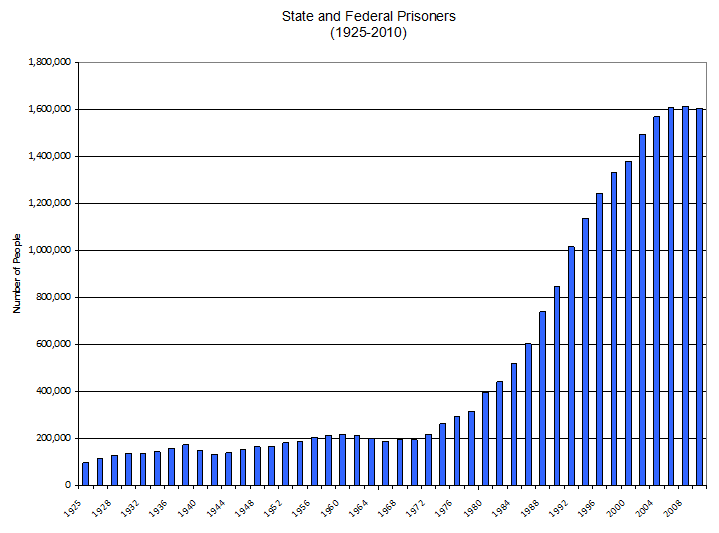 Of these imprisoned Americans, approximately 60% are being punished for non-violent crimes. Every year, we spend many billions of dollars on imprisoning people (estimated at over $50 billion), and this doesn’t even take into account lost productivity from imprisonment. In some states, including California, the prison spending even eclipses educational spending. Heavy-handed “justice” for the poor is common in all areas of the legal system, whether it is somebody receiving a decade in jail for shoplifting or a drug addict being sent away for life for possession. Correspondingly, the rich are safer in most areas of the legal system, being able to get out of trouble that would result in decades of prison for a poor person. Besides being imprisoned for non-violent drug offenses, another egregious example of imprisonment for non-violent crime is the arrests of homeless and poor individuals, who have been arrested and charged with grand larceny for sending their children to schools in areas which they do not reside; they simply want the best education for their children, thus they send them to schools in areas that have better public schools. When caught, these parents are liable for the costs of the education (despite the fact that the schools are public) and are often charged with criminal fraud. Take the story of one such mother, Tanya McDowell: Mrs. McDowell was a homeless woman living in Bridgeport Connecticut with her son, who she enrolled in the Norwalk public school (a wealthy area with a better public school than Bridgeport). Once it was found out that she had enrolled her son in the wrong school system, she was arrested, charged with first degree larceny, and sentenced to 5 years in prison. Apparently, it is impossible to criminally charge rich bankers when they defraud the public out of their money and their homes, but perfectly fine to charge a homeless women when she tries to send her child to a better school. This disparity illustrates one small aspect to a much larger problem: In our current justice system, the wealthy are allowed to skate on terrible crimes, while the poor are crushed for things which shouldn’t even be criminal. While the bankers at HSBC who laundered billions in drug money are living the high life, millions of Americans are currently sitting in jail for non-violent drug crimes. Hundreds of thousands of Americans are currently incarcerated for non-violent drug offenses such as possession and minor dealing. It is certainly true that these individuals have broken the law—drugs are still illegal—but the person who sells the drugs is just as legally culpable as the person who hides the criminal transactions from detection. Every day, poor Americans are forced to turn to drug dealing to survive and arrested, but when a rich banker involves himself in the drug trade and is caught, he is let go. Many (myself included) believe that the drug war is causing more harm than good and should be stopped, but this is not the issue in this situation. For as long as it is illegal to sell drugs, people will be held accountable for breaking the law when they belong to a drug enterprise. The issue here is that only selective people (poor people) are being charged with their part in the drug enterprise while other people are given a pass for no legal reason. If it is necessary to send the guy on the corner to jail for a decade for selling some weed, then it is not appropriate for the very same authorities to ignore the bankers who knowingly hide/move the money obtained from the illegal acts—both are breaking the law, yet only the poor one is pursued and punished. In order to remedy this situation, several things are necessary. 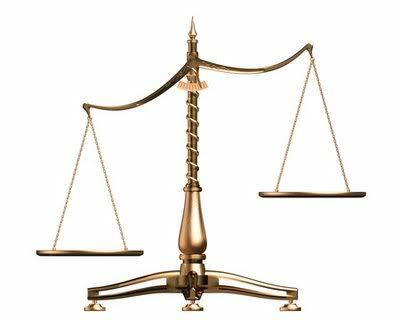 First of all, we must demand that our criminal justice system treat everybody equally under the law—any prosecutor or DA to soft-peddle rich criminals should be protested and removed from their duties. Secondly, the law needs to be reformed in order to decrease the number of people who are imprisoned for petty non-violent offenses—using this, drug addicts and innocent people, like Mrs. McDowell, will not be held up in the justice system and have their lives destroyed by petty charges. Thirdly, we must reform out campaign finance rules so that those with power are less able to implement laws that favor wealth over justice. Have you read Greenwald’s book, “With Liberty and Justice for Some: How the Law Is Used to Destroy Equality and Protect the Powerful”? Yes, he gives an extremely good explanation as to the perversion of the justice system by those who are able to aggregate power. I have always found that Greenwald’s writing is very good at getting at the things that we all know, but few are willing to admit (have you read his Salon articles on the Drone program?). Yes, he’s on my blogroll. I also like Matt Taibbi’s (Rolling Stone) takedowns of Wall Street. Great analysis and insights here, by the way.